I first saw this dish on one of Jamie Oliver's TV shows, and I have been using it ever since. Apples and pork go so well together, and the addition of fresh sage and chopped onion transform this simple stir-fry into something sublime! 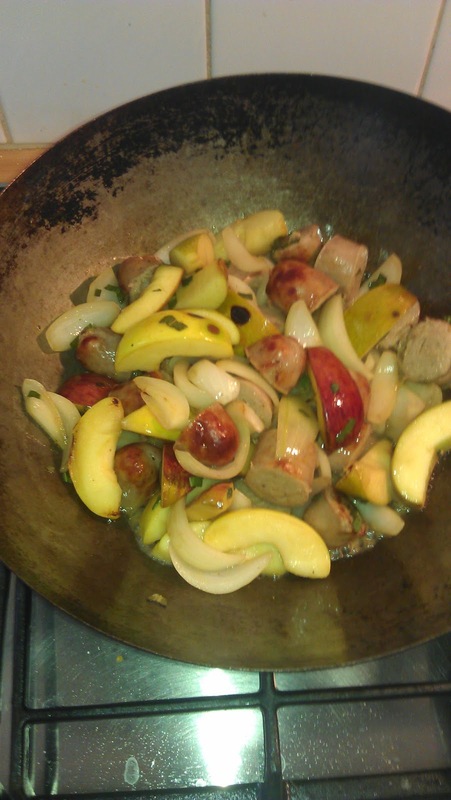 Heat a wok or large frying pan (skillet) until it is hot and add a small amount of oil. The oil will begin to smoke very quickly, so don't allow it to burn. 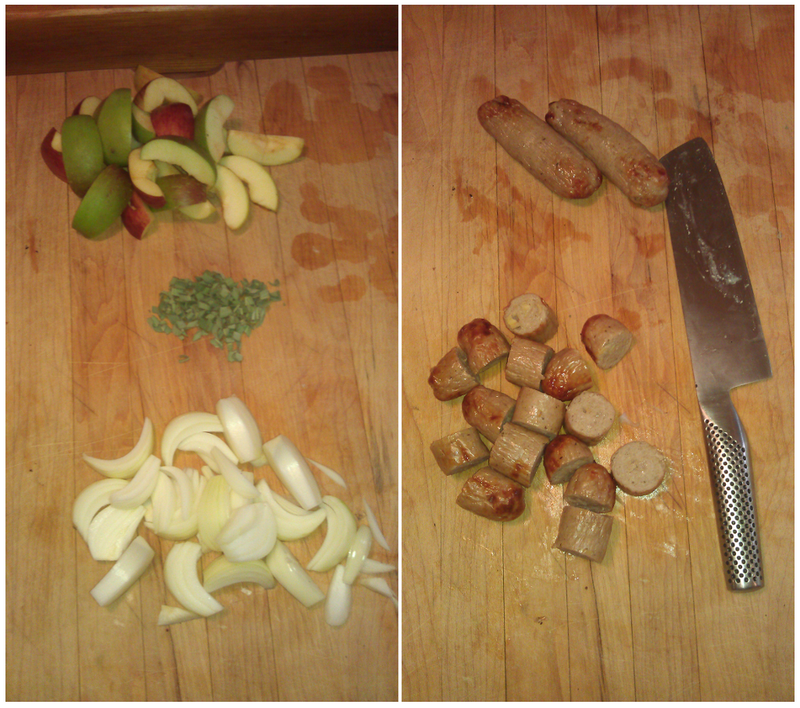 Quickly add the onions and apples and stir and fry for 1 minute. 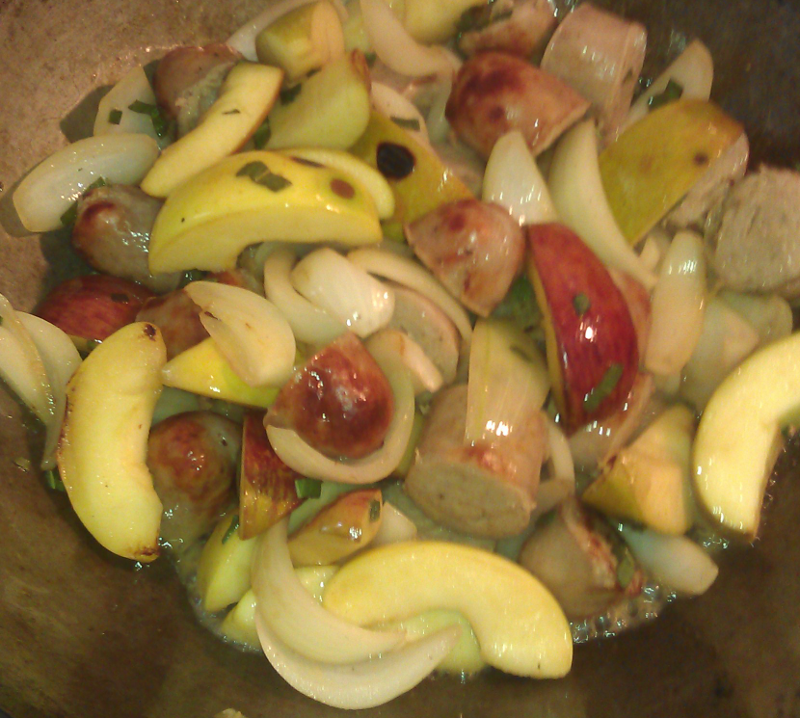 Add the sage and sausage pieces and continue to stir-fry until the onion is translucent. By this time the apples will have begun to cook through. 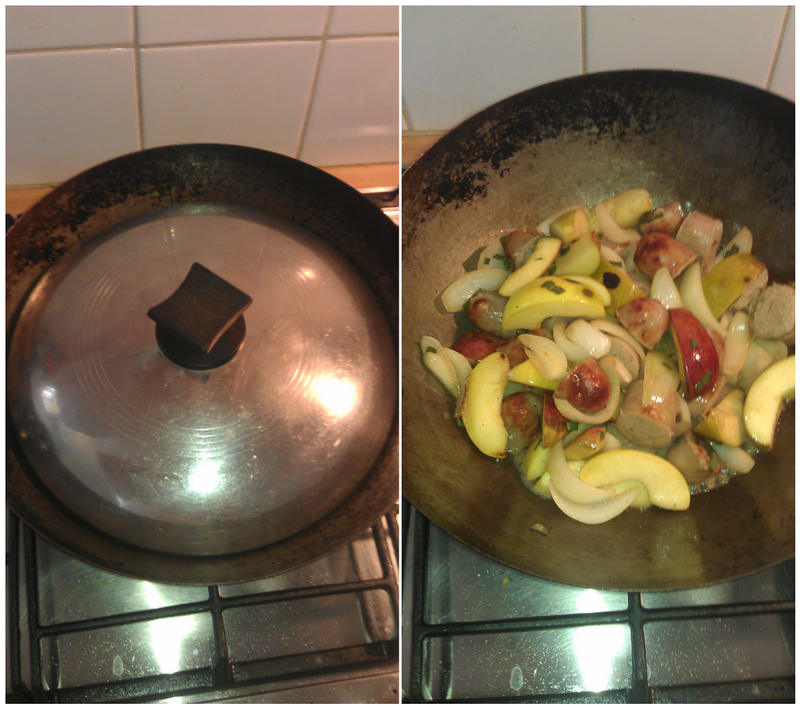 Add a quarter cup of water to the wok and cover with a lid. This will help to cook the aplles and onions and importantly it will release some of the essential oils from the sage. Serve with pasta or rice for a delicious light lunch.